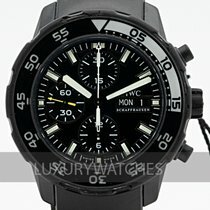 Gents IWC Aquatimer Chronograph "Galapagos Islands" in stainless steel on a rubber Strap. Auto w/ sweep seconds, date and day. With box and papers. Ref Iw376705. 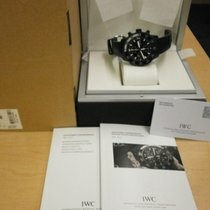 Fine Pre-owned IWC Watch. Certified preowned IWC Aquatimer IW376705 watch on a Black Rubber Strap band with a Stainless Steel tang buckle. This IWC watch has a 43 x 43 mm case with a Round case back and Black Stick dial.